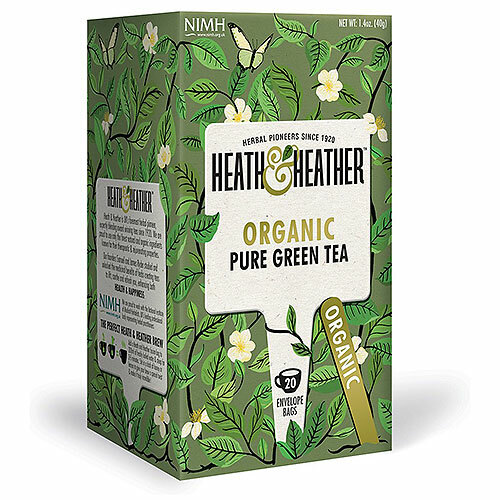 At Heath & Heather, their herbal experts have selected the finest organic green teas for a light and refreshing taste, a simple and natural way to support your wellbeing. Add a Heath and Heather fusion bag to 200ml of freshly boiled water & steep for 2-3 minutes. Stir in a dash of honey or lemon to give your brew a special twist & make it truly incredible. 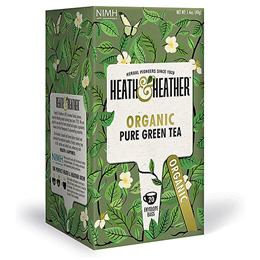 Below are reviews of Heath & Heather Organic Green Tea - 20 Bags by bodykind customers. If you have tried this product we'd love to hear what you think so please leave a review. I ordered these because they come individually wrapped so easy to keep one in my handbag when visiting non herbal tea drinking friends. A good straight forward green tea.